Welcome to Week 5 of my 6-Week Workout Challenge! I have a new lower body workout video headed your way, but in the mean time I have this quick 10-Minute Boot Sculpting Workout for you. I definitely recommend repeating this workout and pairing it with 30-Minutes of Easy paced cardio. This routine uses a lot of my favorite lower body exercises. 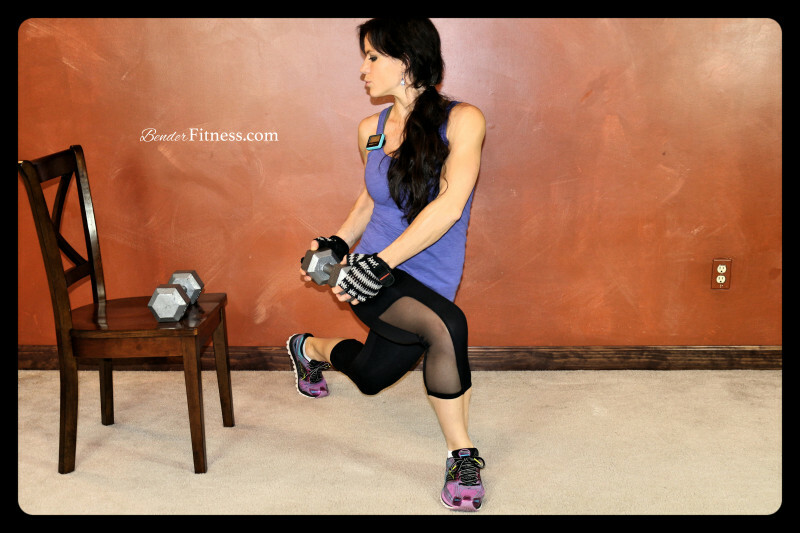 I used two 20-lb dumbbells and a chair during this workout. A bench or sturdy surface will work if you don’t have a chair you can step up on. This workout incorporates multiple exercises that isolate one leg at a time. It helps decrease muscular imbalances (we have a dominant leg, just like we have a dominant hand). Single Leg Exercises, also force the muscles to work harder during each move. The added balance, adds some bonus strengthening for your coordination and core. Have fun with this one! I will be adding the new video to this post as soon as it goes live. For our first Sunday Run-Day. I shared a video of three stretches all runners should be doing. I posted it Live on Facebook. Since my camera broke we have been having more technical difficulties uploading our workouts. Due to those difficulties, I couldn’t get that video uploaded here, so I posted a Post-Run stretch series below. Scroll past the workout tutorial photos for the video. Buy a Gymboss now. Intervals: 10 Rounds of 10/50. -Chest to Leg and then Obliques to Leg.